A big hit in France and now distributed around the world, La famille Bélier is notable for two reasons. First it deals with music and singing. This is topical in two ways. As in many other countries, French TV has picked up on popularity of talent shows with viewer participation. 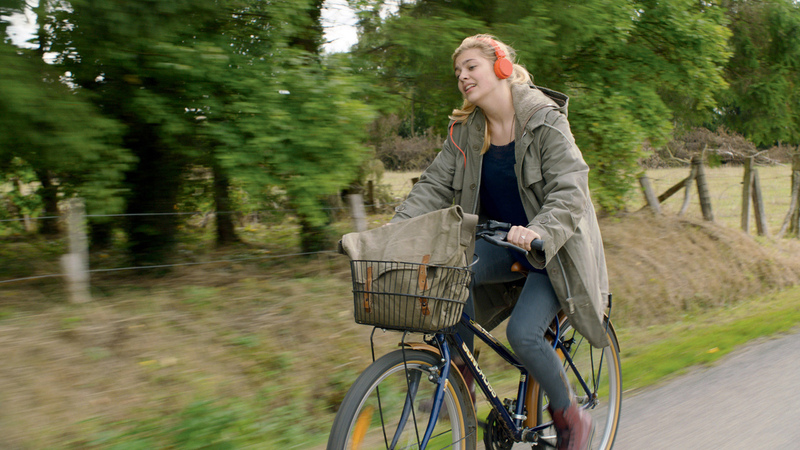 This is how Louane Emera, the lead actor in La famille Bélier, first came to the attention of French audiences. She reached the semi-final of the French version of The Voice in 2013, after being ‘saved’ by the audience, possibly because of her own tragic story of being orphaned a few months earlier. The television appearances helped her to get the role of Paula in the film and since then she has won an award at the Césars (the French equivalent of the Oscars) and in 2015 has had a No 1 single. In the film, Paula is a teenager who discovers she has a voice almost by accident and is forcibly encouraged to learn how to use it by her school’s music teacher who wants her to audition for a prestigious music school. The irony of the popularity of the film is that the songs that Paula learns are by Michel Sardou who was a giant of chanson in the 1990s but who is now thought old-fashioned. The film reminded audiences of the songs at a time when the French government is asking for more quotas on French radio to make sure the invasion of English language pop music is kept at bay. The chanson tradition puts great emphasis on the lyrics of songs and the main song in the film ‘Je vole’ (‘I fly’) was originally written about a teenage suicide but the words were altered to refer to leaving home. The role of the music teacher is taken by Eric Elmosnino whose biggest success recently was as Serge Gainsbourg in Gainsbourg (Vie héroïque) in 2010. Gainsbourg was perhaps the most notorious and most celebrated composer and performer of popular music in France in the 1960s, 70s and 80s. La famille Bélier is also a film about discrimination affecting hearing impaired people. It is quite a challenge to attempt to do this through the medium of comedy and perhaps predictably there has been a controversy about the casting of the film. Paula’s parents and her brother on the family farm in Normandy are all deaf mutes. Consequently she has to translate through sign language during all their encounters with officialdom, businesses and the general public. The film’s producers cast two well-known French actors without hearing impairments as the parents and a deaf actor as Paula’s brother. Campaigners for actors with hearing impairments have protested about this decision and such campaigns are not unusual across a range of films with characters in wheelchairs, characters of ‘small stature’ or other physical differences or with learning difficulties. The parents carry much of the comedy potential in the film (and this is even more noticeable through their signing actions compared to their son) and this perhaps aggravates the casting questions. Is the script the problem? Would the film be better without the comedy? If hearing impaired actors were cast would the film work in the same way? These are questions audiences might like to consider alongside an overall judgement as to what the film as it stands says about hearing impaired farmers in France. Director Eric Lartigau does make one obvious attempt to draw the audience in to these questions when he cuts the sound of Paula’s singing voice at one point and effectively underlines the experience her parents have of her success as a singer. The other major element of the narrative is the political campaign – to become mayor of the local community – undertaken by Paula’s father. This does seem to lose in importance as a story towards the end of the film when Paula’s audition takes over. Lartigau’s two previous films, I Do (2006, a comedy with Charlotte Gainsbourg) and The Big Picture (2010, a thriller with Romain Duris) both got a UK release. At an estimated €11 million, La famille Bélier is a big budget film. A similar UK production might expect to work on less than half that amount. The budget difference is largely down to the higher fees paid to French film actors. This entry was posted in Films and tagged chanson, comedy, hearing impairment. Bookmark the permalink.